Health systems are grappling with competing priorities, trying to corral costs while still attracting and keeping top executive talent with competitive salary and benefit packages. Judging by the steady increase in executives' total compensation over the past several years, it seems that health system boards are not compromising executive pay in their cost-containment efforts. Yet, that dynamic may slowly be changing as more systems emphasize lofty long-term incentives and rein in base salaries to limit their financial exposure. Base salaries used to be more flexible, said Elaina Genser, senior vice president of executive search firm Witt/Kieffer. Providers are putting more weight on the bonus side and less on base salary—one way they're keeping costs in check, she said. 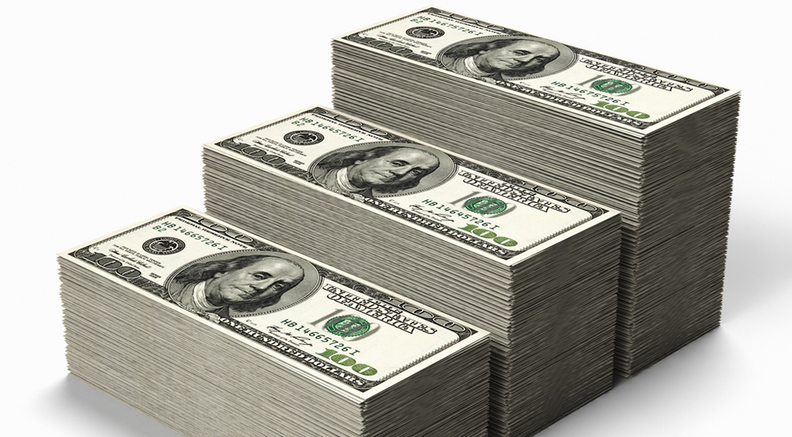 Average total cash compensation across 39 health system executive positions rose 4.8% from 2017 to 2018, compared with a 3.6% annual increase for 12 hospital executive positions analyzed, according to Modern Healthcare's 38th annual Executive Compensation Survey. Average base salary increases for system executives rose 4.7%, outpacing hospital executives' raises of 3.1%. Modern Healthcare's survey included 384 health systems and 988 hospitals. Cost containment is a top priority among health system executives, according to a recent survey from the Advisory Board Co. Previous surveys indicated that executives thought that they could grow their way out of thinning margins. But for the past several years, the forces weathering providers' finances have not been temporary. Caring for an older, sicker population, for instance, means that providers will have to implement systemic change to get by on dwindling Medicare and Medicaid reimbursement levels. That trend, coupled with the rising scrutiny of executive pay, has put more pressure on hospitals and health systems. There are tax penalties for not-for-profit providers that exceed certain executive pay thresholds and provide exorbitant parachute payments for departing executives. Some for-profit companies are releasing comparisons of chief executives' pay with the median pay of their employees, revealing ratios exceeding 300-to-1 for some firms. But not all industry observers think that pressure to cap executive pay is having an impact. “I do think cost pressures are significant, and I believe that more health systems will continue to put greater emphasis on performance-based pay, but there may be continued increases because there's a supply and demand issue,” said Tom Pavlik, a managing principal at Sullivan, Cotter and Associates, the compensation consulting firm that has supplied data for Modern Healthcare's annual surveys since 2003. There are fewer qualified executives to fill these complicated roles, Pavlik added. Kevin Reddy, vice president of executive search firm Furst Group, said he hasn't seen an overriding strategy to reduce executive compensation. The annual bump in total compensation is down from last year's 6% increase, suggesting that cost and executive pay pressures have made a slight dent. Still, health system executives took home raises of 6% to 8% over three of the past four years, up from around 2% in 2014. As for the new tax law implemented this year, not-for-profit health systems are using creative loopholes to avoid the fines. Meanwhile, high executive pay is part of the reason that hospital spending accounts for about a third of the “unsustainable” pace of healthcare inflation. Nearly 60% of the healthcare providers that participated in executive search firm DHR International's 2016 survey said they don't have the adequate bench strength for executive positions, particularly those that can meet governmental and bottom-line targets over the next several years. That's partly due to the wave of retirees as well as the demand for population health and other emerging goals. Which of the pressures is driving the current thinking on executive compensation—getting talent or reducing costs? asked Paul Keckley, industry consultant and managing editor of the Keckley Report. Select health system executive positions received increases in average base salary and total compensation of at least 4%, including the CEO, chief administrative officer, chief technology officer, human resources, legal, public affairs, clinical nursing officer, ambulatory care, pharmacy, process improvement, managed care and support service executive. Systems' top ambulatory care executives drew the biggest pay raise in average total cash compensation, which increased 7.1% to $377,300. The next highest were top construction executives, up 6.4% to $314,100; top human resources executives, increasing 6.1% to $457,900; top legal services executives, rising 6% to $581,300; chief nursing officers, up 5.7% to $414,700; top revenue cycle executives, increasing 5.4% to $340,400, top medical informatics executives, rising 5.3% to $408,500; and top professional services executives and chief operating officers both up 5% to $358,400 and $825,100, respectively. For the CEO, chief financial officer, chief medical officer and COO positions, independent hospitals offered higher pay raises than subsidiary hospitals. Total compensation growth was 4.2% compared with 3.4%, while base salary was 3.7% versus 3%. Notably, the current inflation rate is about 2.9%. Several new positions were added to the survey in 2018, including top population health executive, top performance improvement executive and top pharmacy executive. Hospitals and health systems are also expanding their CEO search to executives with nursing backgrounds, rather than just business or financial acumen, said Brenda Doherty, partner at executive search firm Buffkin/Baker. “Nurse executives can navigate everything from the bedside to the boardroom,” she said. The pay increases and expanded roles represent the evolution of the healthcare landscape. Health systems need leaders—increasingly recruited from other industries—who can make sense of growing data sets as they expand ambulatory networks. They also need to organize staffing appropriately and align performance incentives. Often, those responsibilities go to physician executives, said Kathy Hastings, a managing director and executive workforce practice leader at Sullivan Cotter. Of the 51 executive positions surveyed for both hospitals and health systems, only top home health executives at systems had both lower average and median total compensation year-over-year. This may indicate that health systems will continue to offload their home health operations, or partner with a more experienced provider. Presidents and CEOs at health systems received a 4.1% year-over-year increase in average total cash compensation, from $1.33 million in 2017 to $1.38 million this year. That was down from the 4.8% pay increase last year in average total compensation. It also contradicts the trend of total cash compensation, which factors in short- and long-term incentives, generally outpacing base salary hikes. The average base salary for system presidents and CEOs increased 4.3% in 2018. “They want it to be more difficult to leave the organization, and that makes it more difficult for the acquiring organization,” she said. Today, success is often measured on systemwide areas rather than individual facilities. Population health management, alignment, integration, quality and patient safety are high priorities. Health systems and hospitals are becoming increasingly sophisticated in how they track and measure performance and hold leaders accountable for performance objectives. Nearly 60% of health systems with at least $3 billion in annual revenue use long-term incentives, according to the survey. Those incentives consider ambulatory market share, employee and patient engagement, partnerships and shared risk, emergency department wait times and utilization, and population health, among other metrics. Salaries and benefits are health systems largest expense, but also a key bargaining chip in recruiting and retaining qualified employees. More providers are using deferred compensation programs to attract talent, according to the survey. Providers are often quick to lay off staff or let vacant positions disappear to fix short-term budget deficits. But systems should pay more attention to how their pension benefits are structured, said John Lowell, Atlanta-based partner and actuary at October Three, an actuarial firm specializing in retirement plans. A market return cash-balance plan looks a lot like a 401(k) or other defined-contribution plans, but there are key differences, he said. They are not “back-loaded,” which means the bulk of the benefit to employees and cost to employers comes later in an employee's career, Lowell said, allowing for more predictable budgeting. There is also a buffer that protects employers if their workers need to withdraw funds or take loans against their retirement plans to pay for sudden expenses, he said. They almost always have a lump-sum option, allowing workers to roll over pension benefits to an IRA or another employer while maintaining tax-deferred status. Market return cash-balance plans can allow higher-paid talent to effectively defer more compensation. “Costs can be controlled through proper design,” Lowell said. The market for elite healthcare executives is moving quickly, Pearl Meyer's Sullivan said. Compensation will continue to increase around 6% a year for that diminishing group of individuals, he said. “The right COO, CEO and CFO, especially those who work in physician alignment—those people are worth their weight in gold,” Sullivan said.